It was supposed to be a slaughter. It was supposed to be an easy path to re-election for Virginia Democratic Sen. Mark Warner, who won his 2008 race with relative ease, capturing 65 percent of the vote. Instead, Warner barely squeaked by his Republican opponent, former RNC chairman Ed Gillespie, on a razor-thin margin of victory–0.8 percent–and failed to clinch a majority of the vote. The once-thought unbeatable Warner had dropped from 65 percent in his ’08 bid to 49.2 percent in 2014. Former Republican National Committee Chairman and White House aide Ed Gillespie plans to run for governor of Virginia in 2017. Aides close to Gillespie say that he will formally launch a campaign for governor "at the appropriate time." Gillespie was considered a front-runner for the 2017 GOP gubernatorial nomination after narrowly losing a race for U.S. Senate to Democratic Sen. Mark Warner in 2014. Gillespie said many times that he would not run for governor if State Sen. Mark Obenshain, also a Republican, decided to run. Then again, as the Washington Post reported, this is politics; anything can happen, especially in Virginia. But, also of note, is that since his defeat Gillespie has remained in Virginia, campaigning for fellow Republicans in other local races, while adding that one of his many strengths include his ability to unite the moderates and the conservatives in the party–and communicate a message that energizes the base. Sen. Obenshain, while a strong candidate, is seen as more polarizing. For now, Gillespie is keeping mum on his plans, and no other Republicans have made their intentions known. Names often mentioned include former attorney Ken Cuccinelli II, who lost to McAuliffe; U.S. Rep. Rob Wittman; and state Sen. Jeffrey L. McWaters (R-Virginia Beach). While supporters say Gillespie’s entry into the race could clear the field, others note the unpredictable nature of Republican politics in Virginia. That’s especially true if the party follows the recommendation of its governing board and holds a convention — day-long gatherings that tend to attract the most committed activists — instead of a state-run primary open to all. Gillespie won the nomination for Senate at a convention, but he could have a tougher time if a tea party star jumps in. 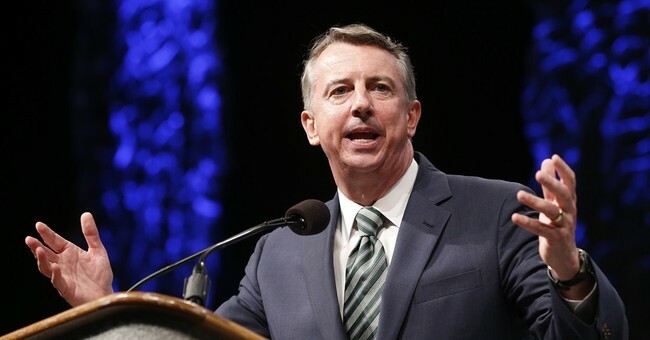 After his Senate race, Gillespie remained active in Virginia Republican politics, appearing with candidates running for everything from high-stakes state Senate races to local commonwealth’s attorney and county supervisors races.